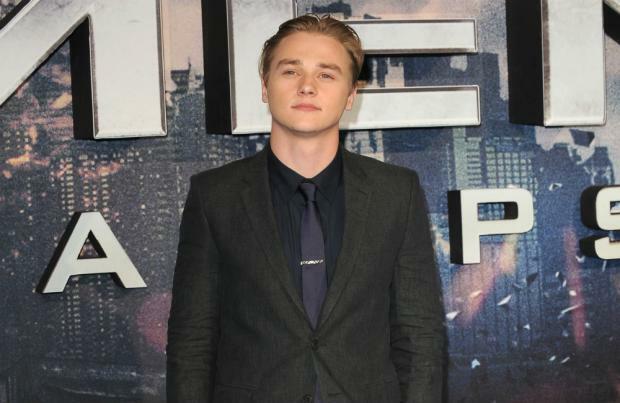 Ben Hardy is to return to the BBC to star in the new drama 'The Woman in White'. The 26-year-old actor previously worked on the network's long-running soap 'EastEnders' as Peter Beale for two years until he left the show in 2015 to pursue a career in Hollywood, but he's now going back to his roots to play Walter Hartright in the small screen adaption of Wilkie Collins' 1859 novel of the same name. Ben said: "I have always admired and been a fan of the BBC's period dramas and I'm so thrilled to be playing the leading role of Walter in this classic story." And with the handsome star taking on projects on this side of the Atlantic again, it's highly likely that Ben could make a return to 'EastEnders' over the coming months. His alter-ego Peter turned his back Walford two years ago after the tragic death of his twin sister Lucy (Hetti Bywater) and fled to New Zealand with his then-pregnant fiancee Lauren Branning (Jacqueline Jossa) to see his half-brother Steven (Aaron Sidwell). However, the brunette beauty returned to Albert Square with their baby son Louie and Steven last year following a blazing row with Peter which resulted in their split. Although Peter remained in New Zealand, he's been referenced in the show numerous times over the past few months - further sparking rumours of a return. And it seems Ben would be open to the chance of reprising his role again as well. He said previously: "I would be down for that but it's difficult as it's trying to get away from that perception of me as Peter Beale. But you know if that didn't matter, I'd go back for an episode or a day, because I'm attached to that storyline."